As a health coach, I often tell my clients to keep a cutting board and knife out on the kitchen counter. Why? Because it makes it so easy to cut up an apple or slice some cucumber rounds for yourself or your kids. Now, I realize that taking out a knife and cutting board only when you need them isn't a big deal, and yet...sometimes we moms are so overwhelmed that even these little things seem like too much. And then we might just grab a handful of chips instead. Oops. So, do yourself a favor and make eating clean even easier: keep that cutting board out all day! I bet you'll find yourself eating more fresh fruits and veggies. This pump is a great tool for quick surface cleaning when you're chopping a variety of ingredients, as I did for my simple Watermelon Feta Mint Skewers. First, cut the watermelon into bite-size cubes. You'll see that your cutting board gets pretty full of sticky juice! 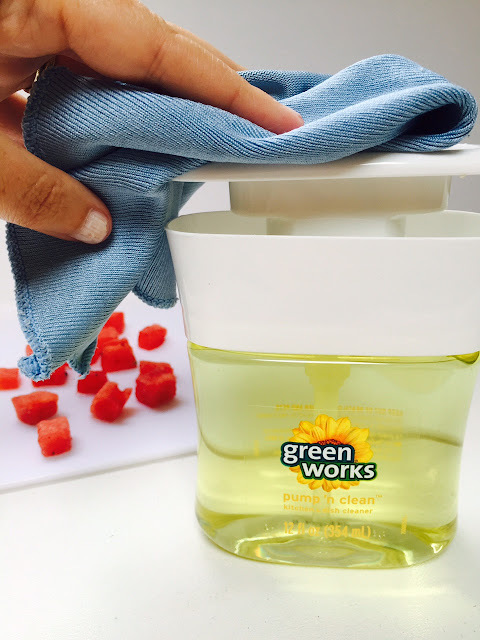 Set the watermelon aside; use the Pump 'N Clean to wipe the juice off your messy cutting board and knife. Then cube your feta and set the cheese aside. Again, pump the food-safe cleaner and wipe the cheese (feta can be crumbly!) off the board and knife. Now you can assemble the skewers. First, I pair similarly-sized fruit and cheese cubes; this is a rustic dish, the cubes don't have to perfectly match. 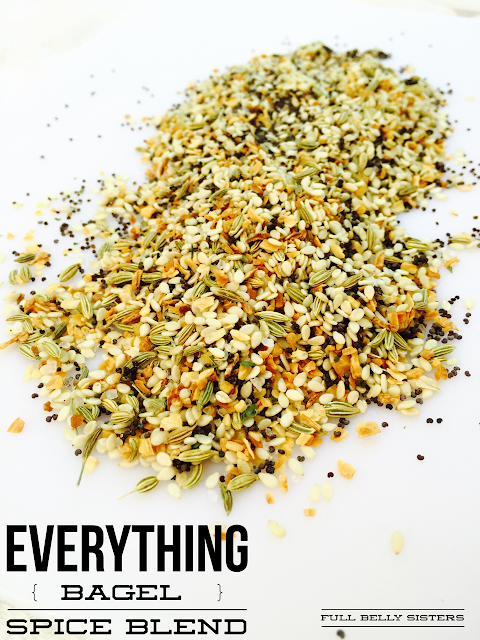 Food should be like nature: perfectly imperfect. 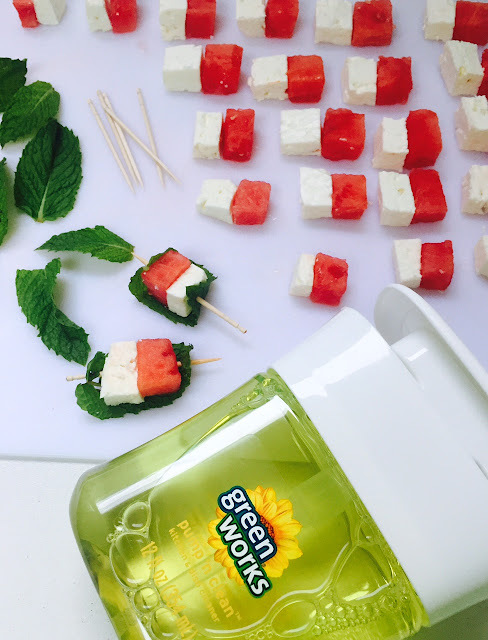 Then wrap each pair in a mint leaf and skewer with a toothpick to hold all those fresh, gorgeous ingredients together. Best of all, you've got that clean cutting board—and now you're going to use it as a serving platter! That's right, no extra dishes to wash. Just leave the assembled skewers right on the board and squeeze some fresh lime over all of them, then top with freshly-ground black pepper. It's a great combination of flavors: sweet, savory, tart, herbaceous, and peppery, all in one delicious bite. Pair one cube of melon with a cube of feta. Wrap in a mint leaf, pushing a toothpick through to keep all of the ingredients together. Repeat until you have two dozen little skewers. Squeeze lime over the top, then grind black pepper over the whole platter. Prepared and served with help from the convenient Clorox Green Works Pump 'N Clean! 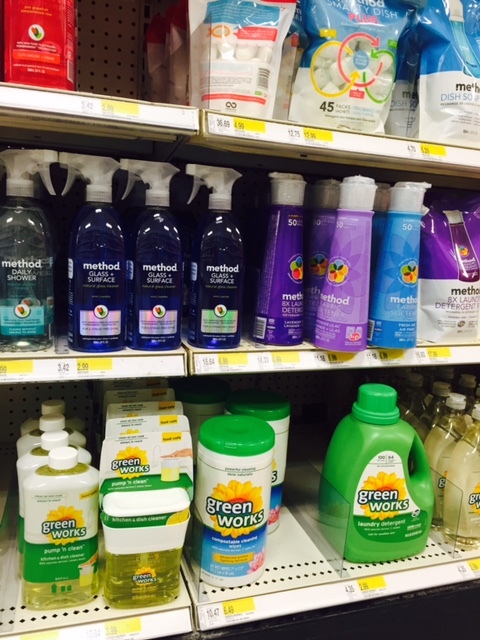 I found the Pump 'N Clean at my local Target, in the natural section of the cleaning aisle. You'll see this handy cleaner among all the other shockingly powerful Green Works products—everything from sprays to dish soaps to detergents. 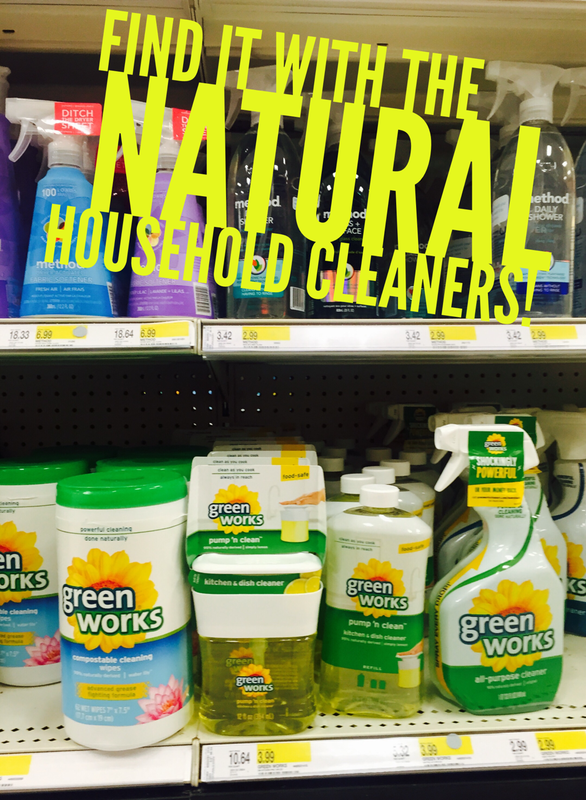 Green Works is not tested on animals; it's made with plant- and mineral-based cleaning ingredients, so there are no harsh chemical fumes. Best of all, these products really work. If you've been thinking about trying natural cleaners, hesitate no more! To learn more about Green Works, follow them on Twitter, Facebook, Pinterest, and Instagram. Target is the only store that carries the full Green Works line, so it's a great place to check out all the different products available. Don't miss it, it's on the bottom shelf! If you don't already have the Target Cartwheel App, you should download it now: from June 14-July 11, you can use the app to save 10% on all Green Works products—including the Pump 'N Clean! So, have you ever tried leaving a clean cutting board and knife out on your counter? Do you find that it encourages you to prepare and eat more fresh fruit and veggies? What a great idea to keep the cutting board out! You are so right. I am totally going to start doing that now, thanks. Also, I had never seen that pump before. It seems so easy. Going to give it a try as well. Thanks, FBS! Watermelon and feta is one of my favorite combos - have never tried it with mint before (adding to my list!). Also adding to my shopping list, Pump and Clean! This looks like a great product! I love how you used it. I also love those Watermelon skewers! yum! I could use a little savings on cleaning product! I'll give a Green Works a try and making your yummy skewers too! Tasty combination! I love this idea! I never in a million years would have thought about it...I would have gotten several cutting boards dirty! And those watermelon skewers look awesome! I like the thought of using the pump to clean the knife and cutting board.. And your skewers sound wonderful.. I am not a big fan of feta cheese but I am sure I could use some other kind. Mozzarella and basil would be a great alternative! This skewers looks so delicious and great product use! Thanks so much, hope you love the pump and the recipe as much as I do! Love the bottle on this cleaner!! The pump like that makes so much sense! Great recipe!!! Perfect party food!